To ice the “caramel” on the cookies, I prepared the overlap surface. 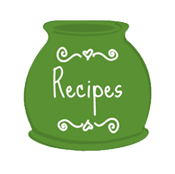 I lined a baking sheet with waxed paper (parchment paper would work as well). I spaced the cookies a little further apart than usual, to allow for the icing to pool over the edges. Next, I flooded the cookies with the caramel-colored icing, making sure to really apply it to the edges of the cookie so it would spill over onto the waxed paper. (I wanted a few cookies to have festive sprinkles, so I added them at this point.) Then, without moving the cookies, I let the entire pan dry solidly overnight. The next morning, I very carefully peeled the waxed paper from the back of each cookie (not the other way around! ), and added the popsicle sticks to the back. Using a stiff piping icing in the colors I had on hand (I think mine was purple, but it doesn’t show, so don’t worry about matching! 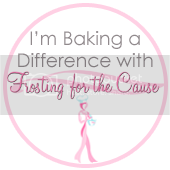 ), I piped a stiff line of icing & firmly attached a stick 1/3-1/2 of the way down the top of the cookie. I let that dry for a few more hours, and that’s it! 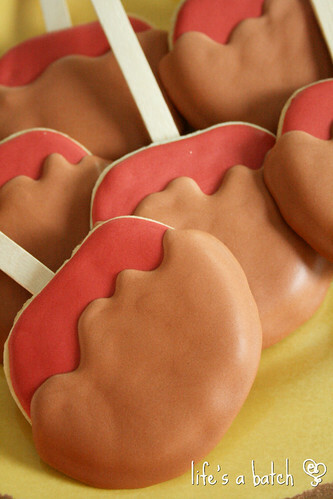 Easy Caramel Apple Cookie Pops! 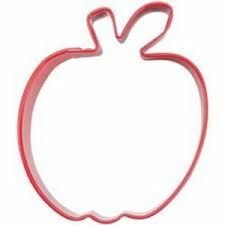 For some other fun apple cookie ideas, check out these “Happy Apple Cookies” with a fun personality! 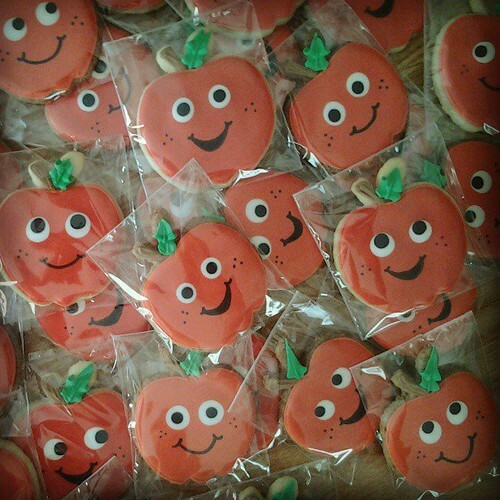 I also made some cute apple minis a few years ago, along with some personalized apples for the boys’ teachers. They are ALWAYS well-received. 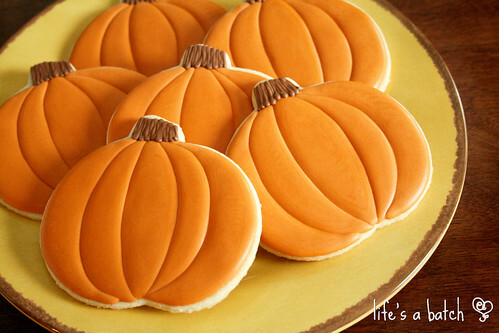 Next up, I made a few Classic Pumpkins to go with the Caramel Apple cookies, too. To add dimension, I iced the sections of the pumpkin cookies in two stages: sections 2 & 4 first. After allowing 20-30 minutes for those first sections to crust a bit, I iced sections 1, 3 & 5. I waited another 10 minutes or so before using a bit of brown piping icing to add the stems. Start to finish, I probably iced these pumpkins completely in just under 1 hour. They are pretty & so perfect for fall! Just delightful!! 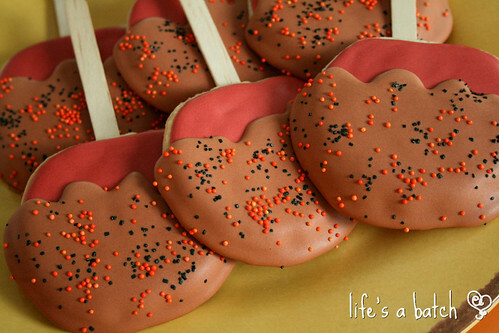 Love those apple cookie pops. 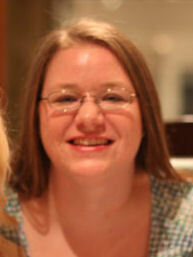 Where in TX did you move to? We are in Spring now, just north of Houston.